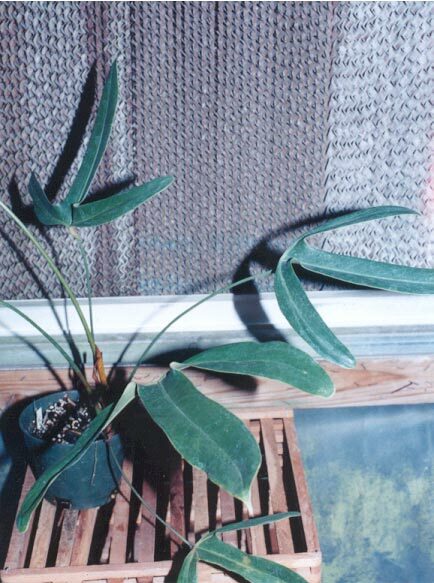 Anthurium tilaranense Standl., J. Wash. Acad. Sci. 17(10): 245. 1927. Etymology: Named after the type location in Costa Rica. The town of Tilaran is just to the northwest of the type location. Sectional Placement: Officially this species is considered to be in section Semaeophyllium. T. Croat in his revision of Anthurium in Panama, states that this species "is not closely related to any other species in the section." This species has several characters in common with members of section Calomystrium, including persistent, intact catyphylls, a character almost exclusivly belonging to section Calomystrium. A closer look may be waranted.